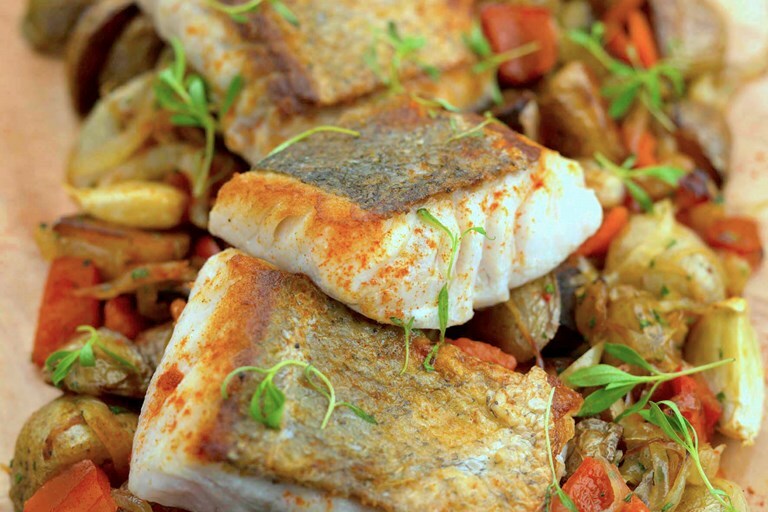 The saltiness of the chorizo and bacon perfectly balances the earthy chickpeas and fresh coriander in this delicious roasted hake recipe from Geoffrey Smeddle. An easy-to-cook recipe, developed by the chef for the Sunday Herald, you'll just need to make sure you soak the chickpeas overnight first. Alternatively, you can buy tinned, cooked chickpeas and save yourself some prep time.